College and university endowment managers frequently use private equity and hedge funds as part of an overall investment strategy. But what role should such alternatives serve for your institution? During a recent NACUBO webcast, Are Hedge Funds and Private Equity Right for You? An Analysis of Alternative Investments, a panel of experts from Bloomsburg University Foundation, Graham Capital Company, and Mason Investment Advisory Services Inc. discussed the case for and against private equity and hedge funds as part of endowment portfolios. Recognize current trends in the investment performance of alternatives and the corresponding growth of these investment vehicles. Evaluate the pros and cons of alternative investments. Develop tools and techniques to foster more balanced investment/finance committee discussions. One of the key lessons for attendees of this webcast: When institutions are considering an investment strategy—hedge fund or private equity—it is paramount to enhance your perspective with sufficient details to make an informed decision. To watch a recording of this webcast, visit the “Distance Learning” page at www.nacubo.org. If your institution has achieved success stories related to energy efficiency and sustainability, share them in Montréal during our Campus Efficiency poster session at the NACUBO 2016 Annual Meeting. 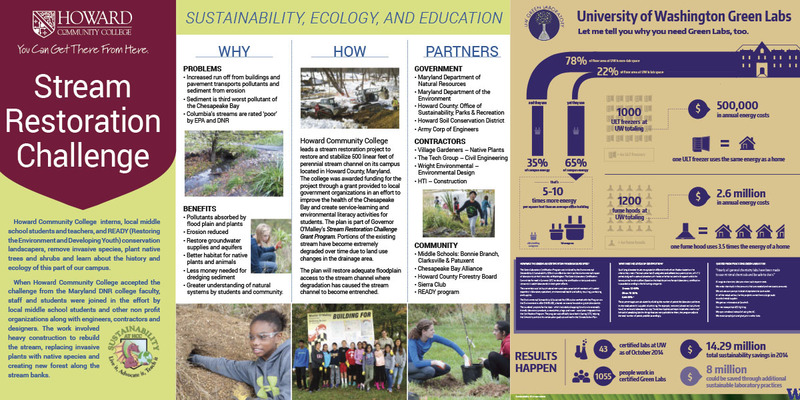 Posters should include graphics, illustrations, photos, and data related to your campus efficiency success story. Participants will receive up to two annual meeting registration discounts for this effort. For more information, visit www.nacuboannualmeeting.org and click the “General Information” tab. 2016 Tax Forum (September 25–27 in Baltimore). 2016 Global Operations Forum (September 27–28 in Baltimore). We invite you to propose a session that is relevant, innovative, and useful. Share your approach, knowledge, and experience, focusing on strategies and tactics that will resonate with a higher education audience. Take advantage of the opportunity to advance the conversation, network with administrative colleagues, and highlight best practices. For more details, including topics of interest and submission guidelines for each program, visit www.nacubo.org and click “Submit Content,” under the “About NACUBO” tab.